People to People Ambassador Programs runs frequent contests to give students traveling on their programs the opportunity to win credit toward their trip costs. Every contest has a different theme that needs to be delivered in a fun and engaging way. 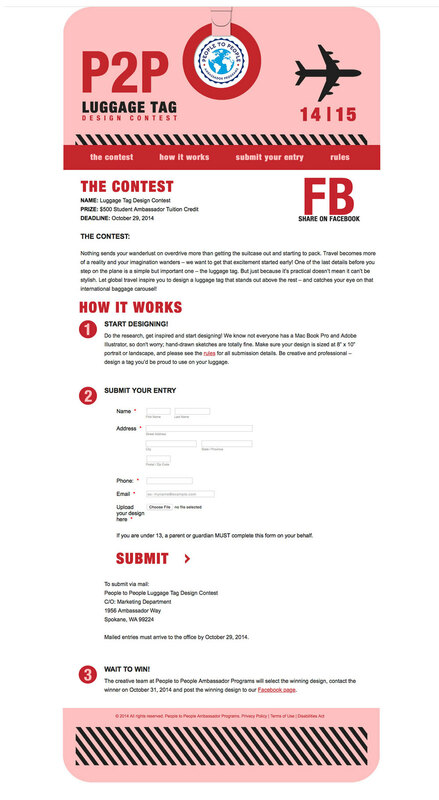 Because the contests are so frequent, the vertical navigation pages need to be simply designed for a quick turn-around. This specific page was my design for the Luggage Tag Design contest.